C.O. 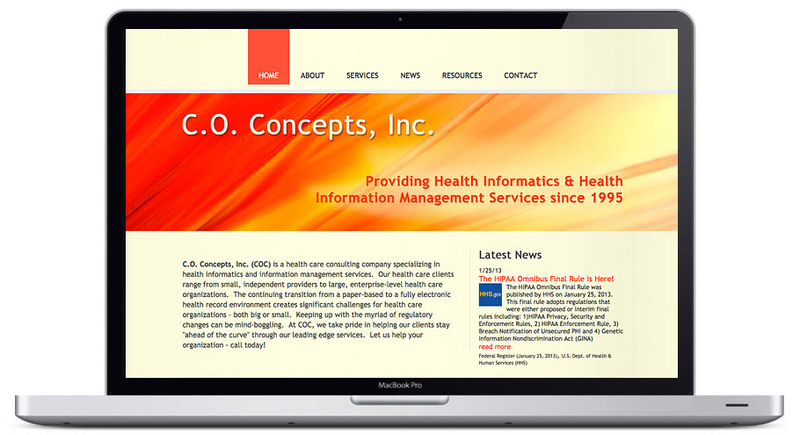 Concepts, Inc. is a health care consulting company specializing in health informatics and information management services. 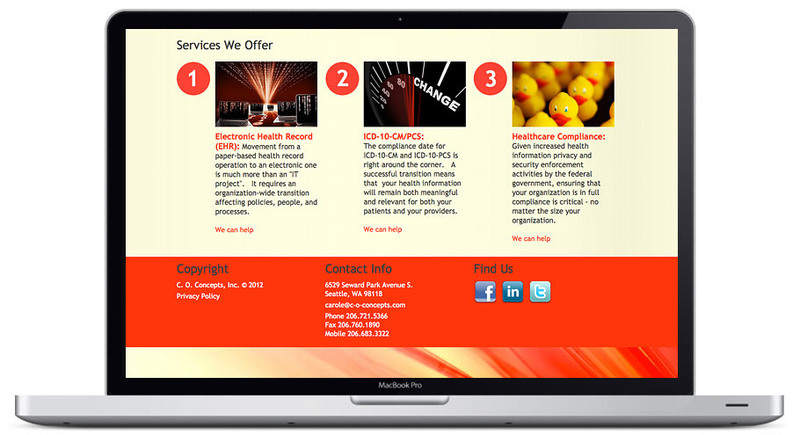 As such, they came to Hang Wire Web Design to develop a website that portrays these information and management skills, while also showing a playful and humorous side to what some may consider a dry topic. We think we succeeded.